The ECOWAS court fumbles with the same approach the Nigerian courts have been known for. ECOWAS court continued to adjourn cases on baseless grounds to display the influence of the Nigerian stakeholders. 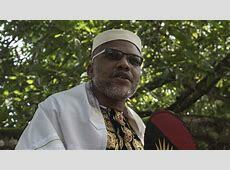 The Economic Community of West Africa ECOWAS Court, has again adjourned hearing into the fundamental rights suit filed by the leader of the Indigenous People of Biafra, IPOB, Mazi Nnamdi Kanu. Kanu’s suit filed in March 2016 is yet to reach its hearing stage at the court since it was first brought before it. The case had been adjourned in November 2017, after a previous postponement a month before, following applications by parties in the matter. On Tuesday, the court presided over by Justice Hemeye Mahdmadane announced its decision to make further adjournment after entertaining a fresh application by the prosecution. Coming up with flimsy excuse like the Nigerian court, the judge said the court’s decision to adjourn sitting was based on the fact that motions brought before the court in November were yet to be translated into English language. Reacting to the recent application, however, Ifeanyi Ejiofor, IPOB lawyer accused the prosecution of making unnecessary motions aimed at preventing the case from succeeding. The matter was adjourned to May 30. However, IPOB lawyer Ifeanyi Ejiofor informed the court that he would be withdrawing the matter from ECOWAS COURT since the court has been bought over by the Nigerian government. He alleged manifest bias in the conduct of the court.